Letizia has also been invited as a lecturer in the the July 21st, 2016 seminar of the Cognitive Systems Institute Group Speaker Series, for a talk on Exploring Databases: the Indiana Project (Slides here). Letizia Tanca graduated in Mathematics at the University of Naples with a thesis in Mathematical Logic, and later earned her doctorate in Applied Mathematics and Computer Science. Before getting her PhD, she worked for four years as a software engineer in the Telecommunications industry. Later, she became research associate, and then associate professor, at Politecnico di Milano. Since 1995 she is full Professor, first with the University of Bari and later with the University of Verona, where she was President of the Bachelor Degree course in Computer Science. Since 1998 Letizia Tanca is with Politecnico di Milano again as a full Professor (Department of Electronics, Information and Bio-Engineering – DEIB), where she served as Chairman of the Board of Studies in Computer Engineering (Milan) from 2000 to 2006, while from 2011 in the end of 2015 served as Director of the Computer Science Area of DEIB. During her career, she taught courses on the Foundations of Computer Science, Databases and Methodologies and Technologies for Information Systems. Letizia is the author of approximately 170 international publications on databases and the theory of databases, and in particular the book ” Logic Programming and Databases, co-authored by S. Ceri and G. Gottlob. She has also edited the books: “Semantic Web Information Management – a Model-Based Perspective” and “Data Management in Pervasive Systems”, both published by Springer-Verlag. She coordinates, and has coordinated, the local units of different national and international research projects: particularly relevant to the recent research activities are the European projects IT2Rail, ST4RT, GoF4R, ERC SMS-com (Self-Managing, Situation-aware Computation) and Odyssey (local coordinator), and the Italian projects ART-DECO (FIRB), ESTEEM (PRIN-local coordinator), Gendata: Data-Driven Genomes Computin (PRIN); ObiGame: may the force be with you, “5 per mille POLISOCIAL AWARD”, funded by POLITECNICO DI MILANO and FONDAZIONE POLITECNICO; Green Move (Regione Lombardia), MOTUS and Sensors (Industria 2015), SHELL (Cluster Tecnologie per gli Ambienti di Vita – local coordinator – http://shell.smartlivingtech.it/en/content/homepage-fullscreen-slider). In 2014, Letizia Tanca got an IBM Faculty Award for SMAC project: Situational Mobile AppliCations. Her research interests, in the recent years, have included databases for mobile devices, customizing and integrating data in context-driven, peer-to-peer distributed databases, design of context-aware databases and applications, data analysis techniques to support Big Data. 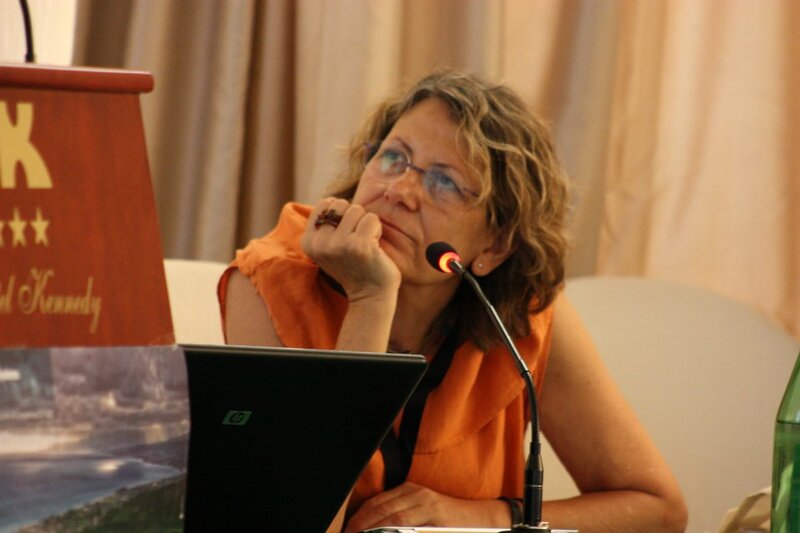 With respect to this last topic, Letizia Tanca is especially interested in the ethical issues inherently involved in the use of data analysis techniques. In the past, her research has ranged over various aspects of the theory of databases, in particular active and deductive databases, object-oriented, graph-based languages, the semantics of data bases, representing and querying semistructured information and the World Wide Web. Letizia Tanca has been, and is, reviewer of international journals (eg. TODS, VLDB Journal, TPLP, …); and member of the Program Committees of several prestigious international conferences. Recently, he was Associate Editor of the Conference/journal PVLDB 2014 (Proceedings of Very Large Databases) and demo Chair of VLDB 2013 and EDBT 2016. She is in the Program Committee of: VLDB 2016, VLDB 2017, VLDB 2018 and VLDB 2019; SIGMOD 2017 and SIGMOD Demo 2018, ICDE 2018 and ICDE Demo 2013, EDBT Demo 2018, ECML/PKDD 2014, 2015, 2016, 2017 and 2018, CIKM 2018, and other smaller or national conferences. She is the Panel Chair of VLDB 2018. She acts as a reviewer for national and international projects. Letizia Tanca has been regularly invited as a speaker at several international conferences and workshops, and to teach doctoral courses in several universities. In particular, in recent years, she has been invited lecturer at the Symposium on Applied Computing (SAC 2012) of ACM, Multimedia Information Systems in 2005, the Conference BTW in 2007 and 2008 in the Conference Workshops PERSDB VLDB. Also, in past years she has taught courses on various research topics at the doctoral schools BISS in Bertinoro, the University of Antwerp and the University of Salerno. At the University of L’Aquila she taught and was director of the PhD National School promoted by the GII Group (see below). Currently Letizia Tanca acts as Vice President of the National Group of Computer Engineers (GII) http://www.gii.it/, whose objective is to organize, coordinate and promote, at the Italian national level, the scientific and educational activities of professors and researchers in Engineering Computer Science. From 2017 she is a member of the Research Committee of the Free University of Bolzano. For several years, she acted as the Representative of DEIB in the Informatics Europe (IE) Association, and as a member of the IE Board for several years. He is a member of the Board of Directors of the Informatics Europe Initiative for Peer Reviewing and of the EQANIE Association. For the second time, she is now a member of the PhD Committee of her Department. She is also her Department delegate in the Collaborative Innovation Center on Big Data sponsored by IBM and Politecnico di Milano, and member of the Committee on the Industry 4.0 Initiative of DEIB.